BRYAN EATON/Staff photo. 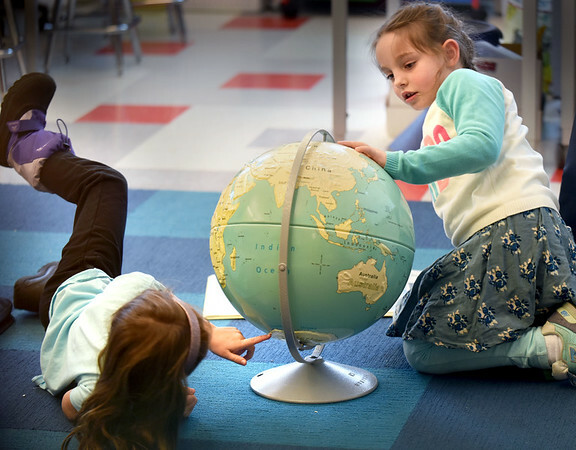 Piper Doherty, 7, left, and Grace Andron, 6, pick out places on the globe in Sue Harrington's second grade class at Bresnahan School in Newburyport on Wednesday afternoon. They were learning about geography and finding places on the globe that they learned from in an atlas.